Printable borders are helpful when you are completing a scrapbooking page and want to add a special flourish or a certain themed pattern to make your pictures stand out. They're also a very economical way to help preserve memories of everything from special holiday celebrations to everyday routines. To download the following borders, click on the picture of the border you wish to use, then save the file to your computer. 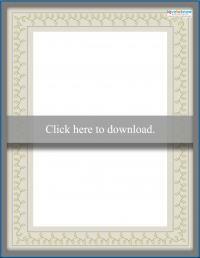 The PDF files can be opened with Adobe Reader. The borders are designed to be printed on 8 1/2" by 11" paper. 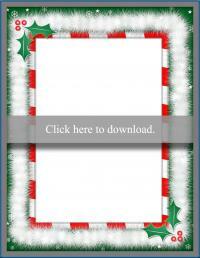 Cardstock or photo paper is preferable to plain copy paper. You will need to use your printer's "Borderless Printing" setting if you wish to have the border print all the way to the edge of the paper. Without this feature, you'll have a thin white line around your printed design. You should also use the "Best" quality setting for the most vibrant colors. 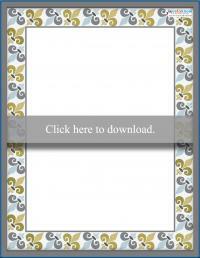 Large borders add a touch of visual interest to pages that are predominantly journaling-based. 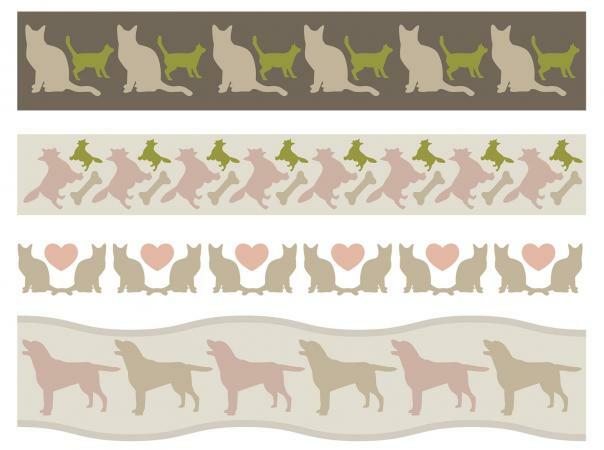 Printable borders can be scaled to fit any motif. 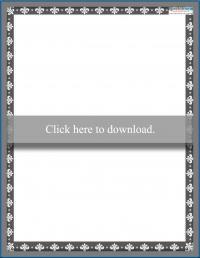 Use the "Custom Scale" feature in Adobe Reader to print your borders at 75% or 50% to use as photo mats. 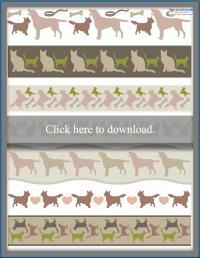 With printables, you can use the same basic border on many different shades of paper to get completely different looks. 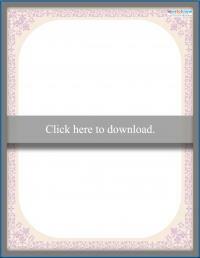 Print your favorite border on vellum to make a translucent photo overlay. Print the border in grayscale and hand color the images with markers or colored pencils. Use small eyelets or scrapbooking brads to enhance some of the details in your border. For example, gold or silver mini brads placed in the middle of the individual studs in the pink geometric border above would give the design a more industrial look. Trace over parts of the border with a glitter gen pen to add a bit of sparkle to your design. Mount the border on your page with foam adhesive squares to create a slight 3D effect. Incorporate your printable borders onto a larger 12" x 12" scrapbook page. When you are using printables for scrapbooking, make sure that you print out all of your designs on acid free paper. This ensures that your borders won't fade or discolor over time. Also, be sure to let the ink dry completely before you use the printables in your layout to avoid any unintended smudges. 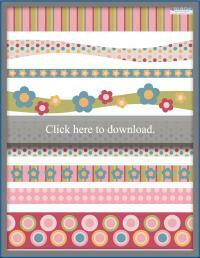 With printable borders, you'll never have a dull scrapbook layout again!